Good, my bookshelves are full with graphics and photography books and a few art volumes. When I go on holiday, I always take a good few novels with me, paperback editions if possible. Be it space on the bookshelf or weight to carry, books give me a few little problems - or at least in my private life, that is. Yet I don't want to be parted from them. The few books which I just don't want to pick up, I take to Oxfam and they find a new home. 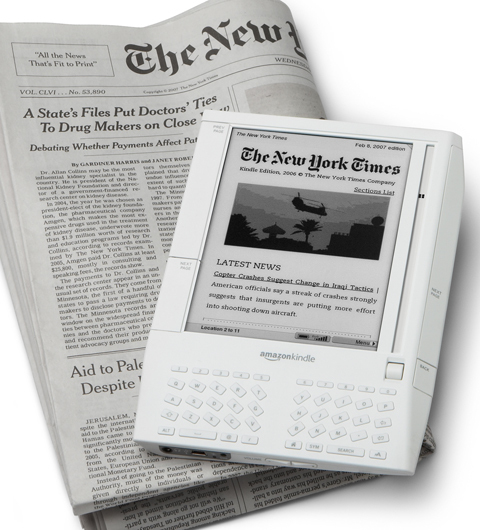 Now e-books are coming, or, as Amazon describes its product "Kindle", wireless reading devices. 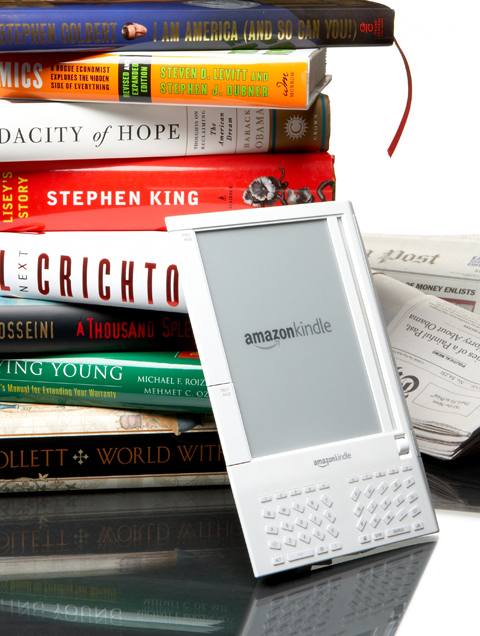 Despite the dry description, the name "Kindle" claims to be more than a new electronic toy. It calls for a revolution and I have to admit, with the Kindle I would have more space on my bookshelves and my holdall would also be somewhat lighter. It all looks a little different in my professional life. Here I design books and manage the typographic design of magazines. I like print and I like paper. 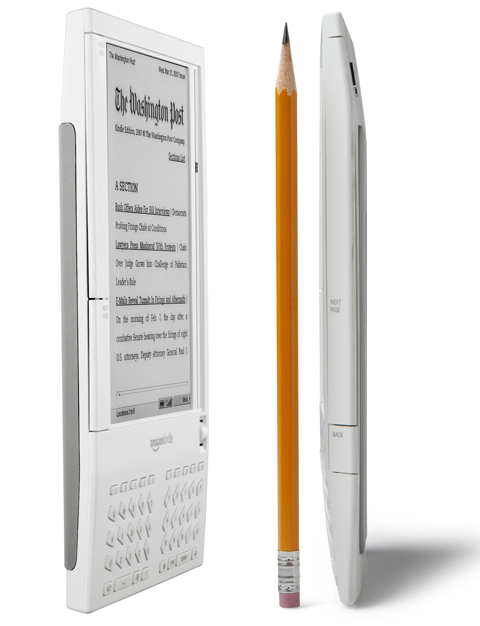 Can e-books like the Kindle or the Reader by Sony really impress me? Are type and makeup suddenly superfluous? What do I care about page breaks, orphans and widows if I can set text in six different font sizes? Many printed novels are not lovingly typeset by hand either, yet the sleeve can often still be impressive. E-books can also show pictures, but thus far not in color. Where are the spot colors and embossing on the cover, so popular in the English-speaking world, to go? We recall the debates about the good old record sleeve. iTunes now offers the function of flicking through miniature CD covers. A strange substitute action without the charm of holding a wonderfully designed record sleeve in your hands. Even newspapers and magazines are available for download. 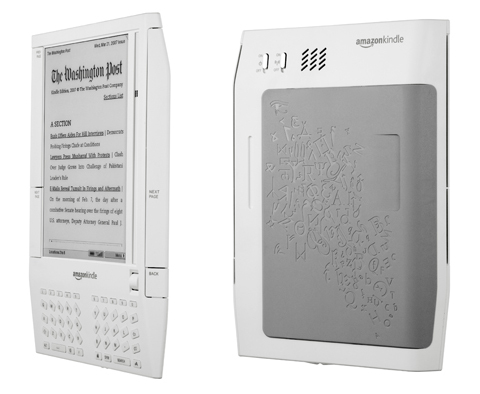 It is here that the weaknesses of the electronic reader are revealed. Do I really just want to read the New York Times or Time Magazine or see and feel it too? This is not cultural pessimism, but what are these without the accompanying typography and photography? The typography of a newspaper guides me, provides focus. Many reportages are only emotional because of the photos. Illustrations can enthrall me, reveal new aspects. The little advertising films which accompany the launch of the Kindle by Amazon are remarkably typographical. Thus Amazon indeed still relies on the power of different characters. 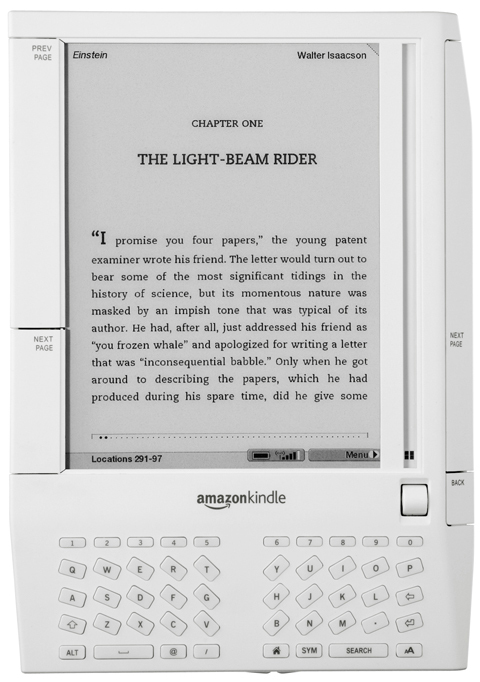 With or sans-serif, animated letters combine to form the word Kindle. Books are an expression of creativity. 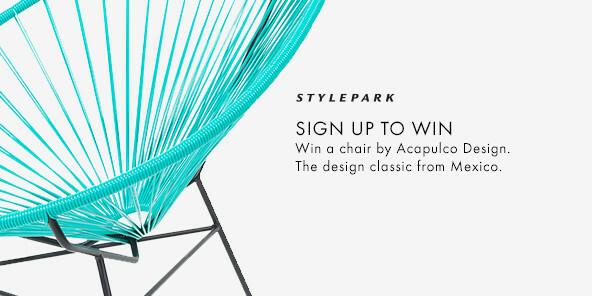 Not only by writers, but also designers, graphic artists, photographers, illustrators, artists. Amazon advertises with the statement: just like books. Yet which books are we talking about here? Novels, biographies, hardbacks or paperbacks? Illustrated books or dime novels? 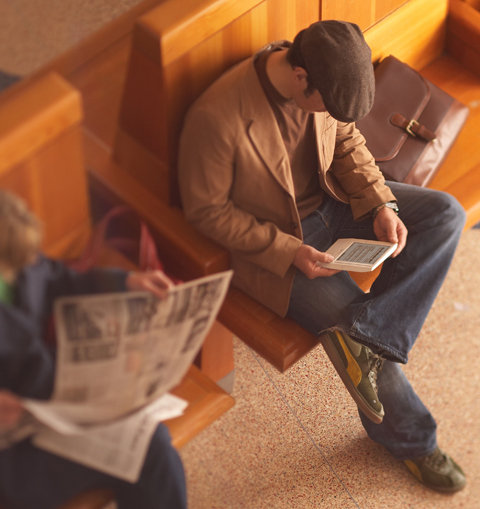 Just like books, maybe more like airport literature.